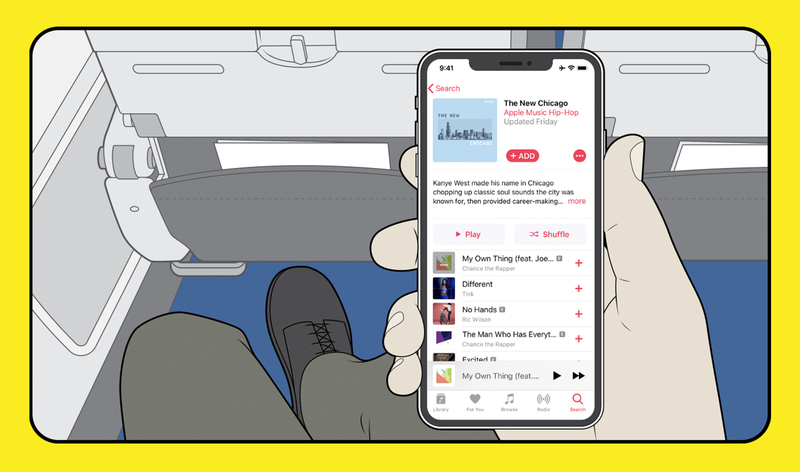 Apple Music takes flight on American Airlines<br/>Apple Music Subscribers can Stream Over 50 Million Songs, Playlists and Music Videos on US Flights<br/>Starting Friday, Apple Music subscribers can enjoy their access to over 50 million songs, playlists and music videos on any domestic American Airlines flight equipped with Viasat satellite Wi-Fi with no Wi-Fi purchase required. American Airlines is the first commercial airline to provide exclusive access to Apple Music through complimentary inflight Wi-Fi. <br/>Apple loves music. With iPod and iTunes, Apple revolutionized the music experience by putting a thousand songs in your pocket. Today, Apple Music takes this to the ultimate with over 50 million songs, thousands of playlists and daily selections from the world’s best music experts including Beats 1 Radio, a global live stream. Since 2015, Apple Music has welcomed tens of millions of subscribers in 115 countries. Streaming seamlessly to iPhone, iPad, Apple Watch, Apple TV, Mac, HomePod and CarPlay, Apple Music is the most complete music experience on the planet.